The contest is divided in 3 stages, called rounds. After receiving all the videos from the participants, our judges will check them and determine which videos are creative enough to get to the following round. Also, they will eliminate 2 participants out of the contest each round. The resting participants who get to pass to the following round and they will have to create another short video with new features and themes that the ENSIMISMADOSX1MIN production will let them know progressively. 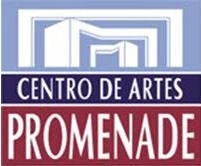 1 100% scholarship to participate in ENSIMISMADOS 2O19. For the first round, just make an original, creative and surprising video (either camera or phone) introducing yourself, and telling us why you want to be part of ENSIMISMADOS 2O19. Then, correctly upload it to Youtube and send us the link before March 3rd, 2019 to info@ensimismados.com. Make a video (camera or cellphone) where you introduce yourself and tell us why you want to participate in this edition of ENSIMISMADOS 2019 in San Jose, Costa Rica. If you make it to the second round, then we will request you to come up with another video with new directions that we will communicate later on. The videos that make it to the third round will be announced on March 30, 2019. Only 3 participants will get to the third round.